Definition at line 31 of file CQBiologicalDescriptionDM.h. Definition at line 26 of file CQBiologicalDescriptionDM.cpp. Definition at line 37 of file CQBiologicalDescriptionDM.cpp. Definition at line 42 of file CQBiologicalDescriptionDM.cpp. References COL_ID_BD, COL_RELATIONSHIP, COL_RESOURCE_BD, COL_ROW_NUMBER, FROM_UTF8, CMIRIAMInfo::getBiologicalDescriptions(), CQBaseDataModel::isDefaultRow(), mpMIRIAMInfo, and rowCount(). Definition at line 80 of file CQBiologicalDescriptionDM.cpp. References COL_ID_BD, COL_RELATIONSHIP, COL_RESOURCE_BD, and COL_ROW_NUMBER. Definition at line 140 of file CQBiologicalDescriptionDM.cpp. References ListViews::ADD, CMIRIAMInfo::createBiologicalDescription(), ListViews::MIRIAM, mpMIRIAMInfo, and CQBaseDataModel::notifyGUI(). Definition at line 172 of file CQBiologicalDescriptionDM.cpp. 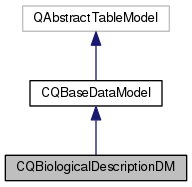 References C_INVALID_INDEX, COL_ID_BD, COL_RESOURCE_BD, data(), CMIRIAMInfo::getBiologicalDescriptions(), CQBaseDataModel::isDefaultRow(), mpMIRIAMInfo, CQMessageBox::question(), and CQBaseDataModel::removeRow(). Definition at line 154 of file CQBiologicalDescriptionDM.cpp. References ListViews::DELETE, ListViews::MIRIAM, mpMIRIAMInfo, CQBaseDataModel::notifyGUI(), and CMIRIAMInfo::removeBiologicalDescription(). Definition at line 33 of file CQBiologicalDescriptionDM.cpp. References CMIRIAMInfo::getBiologicalDescriptions(), mpMIRIAMInfo, and CCopasiVector< T >::size(). Definition at line 106 of file CQBiologicalDescriptionDM.cpp. 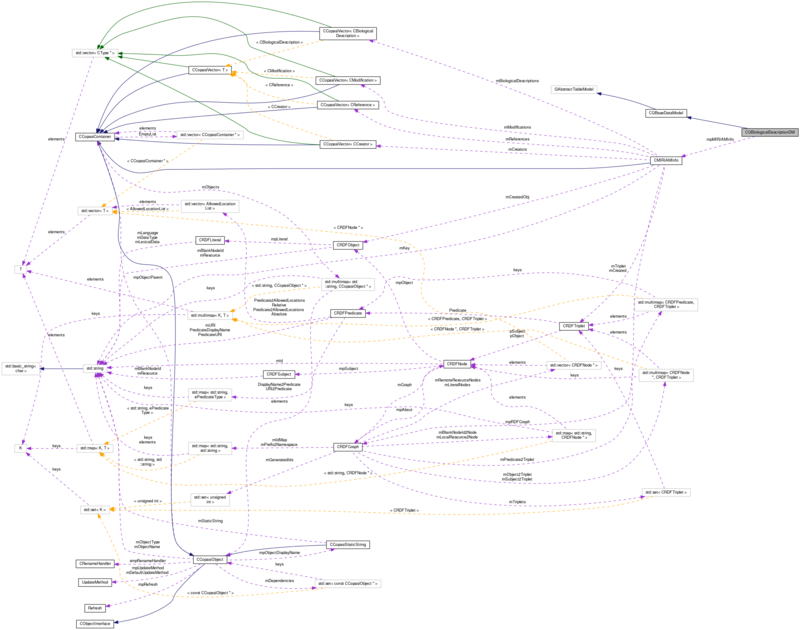 References ListViews::CHANGE, COL_ID_BD, COL_RELATIONSHIP, COL_RESOURCE_BD, CMIRIAMInfo::getBiologicalDescriptions(), CQBaseDataModel::insertRow(), CQBaseDataModel::isDefaultRow(), ListViews::MIRIAM, mpMIRIAMInfo, CQBaseDataModel::notifyGUI(), and TO_UTF8. Definition at line 49 of file CQBiologicalDescriptionDM.h. Referenced by CQBiologicalDescriptionDM(), data(), insertRows(), removeRows(), rowCount(), and setData().